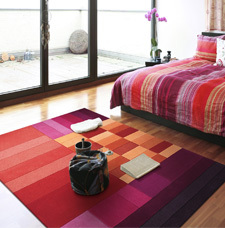 The Milano collection is a range of luxury modern designer rugs executed in high quality acrylic pile. The rugs in this collection are hand-tufted to the highest standard and feature a variety of construction techniques, including hand-carving, multi-height pile and smooth cut pile finish. This is a stunning modern chic collection rivaled only by a few, where each rug is hand-crafted to perfection in the latest fashionable designs and trendy colours.